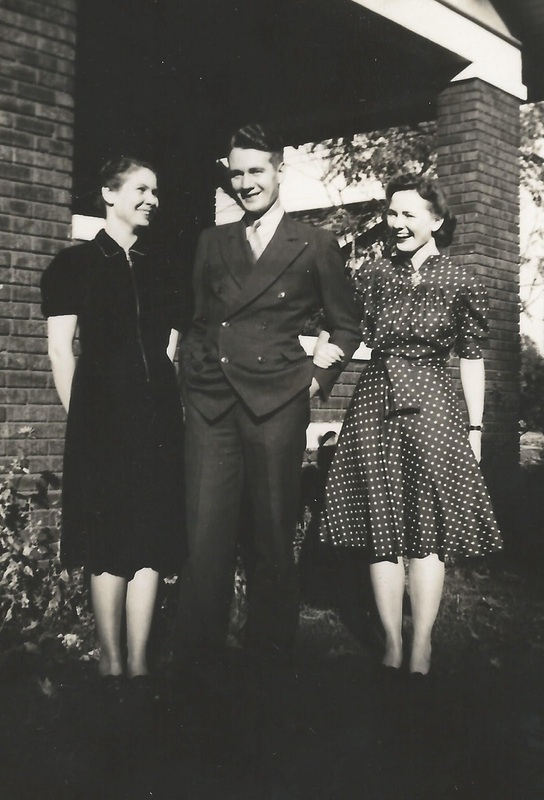 Dina, Bud, and Mary E.
One of the greatest regrets that I have in this life is that I never really got to know my Uncle Bud. Clarence R. Patty, Jr. was born just a year or so after Catherine (called Dinah by her family), and about 5 or 6 years before his baby sister, Mary Elizabeth. That would make him about 95 today. He lives in North Carolina in an assisted living facility near his only daughter, Mary Lisa Abbey. Cousin Lisa has been lucky enough to have been much more geographically close to her dad than I have been to my mother. 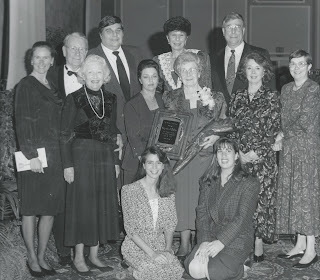 My first meaningful introduction to my Uncle Bud came in 1994, almost 20 years ago, when he, his wife Bunny, and daughter Lisa came to Nashville to be a part of Catherine's induction ceremony into the Tennessee Teachers Hall of Fame. All my previous experiences with Uncle Bud had been a few encounters when I was growing up, several Memphis family reunions before my Grandmother Patty passed away, and one short overnight visit to his home in Corning, NY way back in 1970. 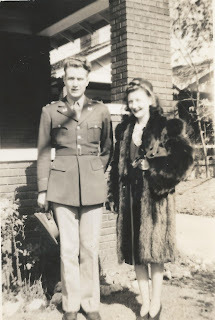 My memory of Uncle Bud was always shaped by my stronger memory of Aunt Bunny. I have always known that Edythe Patty was a wonderful woman, an excellent wife, and judging by the lovely Mary Lisa, a perfect mother. However, while I am not trying to characterize this in a negative way, that "strong" memory I mentioned of Aunt Bunny is that she had a way of dominating all conversations that I was a witness to. I simply have no visit or reunion recollections of Uncle Bud that don't have him sitting politely and quietly at the edge. Following a long and illustrious career as a patent attorney with the Corning Ware Company, he and Edythe relocated to North Carolina to enjoy retirement near their daughter in Brevard. Some few years later sadly, Edythe passed away. In 2003 I met a very different "Uncle Bud." He and Lisa drove over from North Carolina to Nashville, Tennessee to attend my daughter Jennifer's wedding to Daniel Lott. Bud knew that his sister Catherine would be attending and this would allow for some "catching up" time for the two of them. At the reception following the wedding, he was more vocal than I ever remember; witty, charming, full of information about Mother, and incredibly funny. The following morning several of us, including daughter Amanda gathered at our Nashville hotel for breakfast and then lingered over coffee for at least an hour afterwards being entertained by Uncle Bud. In 2007 Amanda and I were putting the finishing touches on our first book and we decided that we should take a trip to North Carolina to talk to Uncle Bud. We wanted to know some of the details of Catherine's early home life, his memories of Humes High School, and a "30's" view of Memphis, Tennessee; and we wanted another dose of "Uncle Bud". Wow, what a great time we had visiting him at his home there. Lisa joined us in our conversations and I was able to fill in some of the blanks about my Cousin Mary Lisa and her life growing up in New York State. We were also able to learn much about "Major Patty's" Army career in WWII which included his role in writing manuals on defusing bombs in Europe in 1946. A lot of this conversation was really useful when we started writing the War Years book. Lisa's been sharing much of the blog postings with her dad and she has been checking in with me and Amanda with regularity since our 2007 visit. There is so much about Uncle Bud that I wished I had learned earlier. I have just skimmed the surface of a uniquely intelligent man with a wonderful since of humor. "I'm glad I touched shoulders with you"
R - U - D - E! RUDE!